There are many good reasons to go kayaking in Rio. With more than one-hundred kilometers of coastline and great weather all year round; Rio de Janeiro for sure can offer some of the most interesting kayaking experiences in Brazil. Why Go Kayaking in Rio? Sea kayaking is a perfect vacation activity for someone who wants a bit of exercise, nature experiences, and some different views. 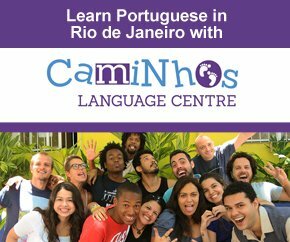 In Rio de Janeiro it can almost be seen as a kind of alternative sightseeing. The sport is suited to anyone, old and young. 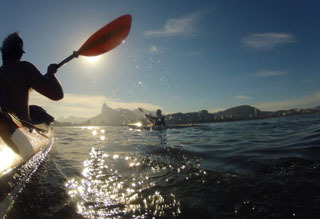 Kayaking in Rio de Janeiro, experience the city in a different way. Photo by courtesy of Rio Natural Ecotourism. A good place to paddle to is located about two kilometers southeast of Praia Vermelha (the beach that is next to the cable car station to the Sugarloaf); the wild island Cotunduba. The mixture of quiet waters and rideable waves, will provide kayakers with tons of fun. On and around the island there are lots of birds, turtles and fish. If you combine the excursion with a lunch (there are many good restaurants close to Praia Vermelha), and a visit to the top of the Sugarloaf, you have a full day. I only have one operator to list here, it is Rio Natural Ecotourism. Daniel from the company has helped me with this text, but this is not a paid for ad. I really like the idea, and after checking the company out on Tripadvisor I became convinced they have a great product; check this link to read yourself. 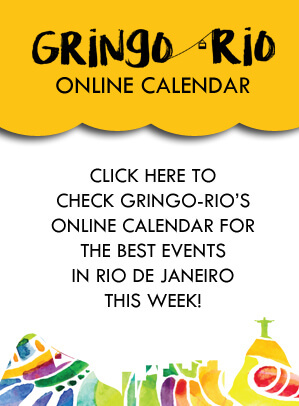 To go to their page with information about kayaking just click this link and you will open Rio Natural’s page about their kayaking activities. On their site they have quite a few other activities listed as well. If you have another company to recommend, just let me know!